"Contrariwise, " continued Tweedledee, "if it was so, it might be; and if it were so, it would be; but as it isn't, it ain't. That's logic. " 1. With a passive dividend-payout policy, the company pays out as cash dividends any earnings it has left over after funding all worthwhile investment opportunities. It is passive in the sense that there is an automatic decision rule. With an active dividend policy, a company may pay out more in dividends, or conceivably less, in the belief that dividends are relevant in their effect on share value. 2. The investor manufactures "homemade" dividends by selling shares of stock if the dividend paid is less than the investor's consumption desires and by buying shares if consumption desires are less than the dividend paid. Imperfections impeding such actions include the problem of divisibility of shares, taxes to the investor, transaction costs, and inconvenience costs. In the absence of these factors, the action of a number of investors manufacturing "homemade" dividends is to make the percentage of dividend payout of a company irrelevant from the standpoint of valuation. 3. Taxes affect the after-tax return to different investors, which range from tax-free pension funds to wealthy individuals and corporations that pay taxes at the full rate. As stock-price appreciation is subject to more favorable tax treatment (in present-value terms) than dividends, taxable investors may prefer the company to retain earnings as opposed to pursuing an active dividend-payout policy. However, there are arguments for a neutral effect as well. The empirical evidence is mixed as to whether a tax effect exists. Some evidence supports this notion, while other evidence is consistent with a neutral effect. 4. For a company whose growth in assets is great, there typically is a need to finance externally. In addition to debt, the equity base must be built up -- either through retention of earnings or the sale of common stock. With flotation costs, retention is usually "cheaper," which argues for a low dividend-payout ratio. For a slow growing firm, there frequently is a lack of suitable investments, so external financing needs are relatively low. Given this situation, the firm is justified in paying out a high proportion of its earnings. 5. 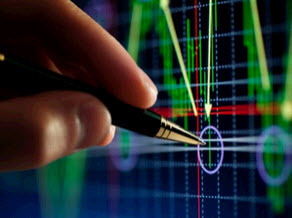 Financial signaling implies that concrete actions like a cash dividend increase, a stock dividend or stock split, and the repurchase of common stock convey positive information to investors about management's belief that the company is undervalued in the marketplace. These actions are said to be more convincing than a press announcement of the favorable earnings picture. Empirical evidence is consistent with a financial signaling or informational effect. 6. A company with high liquidity and ready access to lines of credit or the public marketplace for new securities offerings has financial flexibility. It is likely to be more inclined to pay a dividend, all other things the same. There is far less risk of a cash shortfall should things turn bad in contrast to the company with little liquidity or ability to borrow. 7. Neither policy, if strictly interpreted, recognizes variations in the firm's investment opportunities or cash flows. While a constant dollar payout gives some recognition to those investors seeking a stable income, it ignores the wishes of those investors who would prefer 100-percent retention. This same criticism can be made of the constant dividend-payout ratio policy only in reverse. A policy of a constant regular dividend supplemented when funds for investments are unneeded would appear to combine the better features of both policies. Investors would have a fairly stable minimum amount of income, and the corporation would retain most of its investment flexibility. 8. A target dividend-payout ratio is a percent of earnings the company pays out over time. The target might be 30 percent, for example, and the company would endeavor to pay out this ratio not every year but, say, over several years. The actual dividend is raised only when the firm feels confident that it can maintain the new, higher level. An extra dividend is over and above the regular quarterly dividend, typically in a good earnings period. It is not a permanent increase. 9. 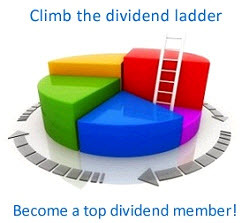 A stock dividend is a payment of additional shares of stock to shareholders. 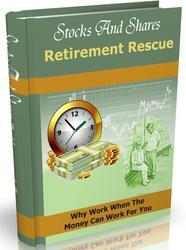 It is often used in place of or in addition to a cash dividend. A stock split is an increase in the number of shares outstanding by reducing the par value of the stock. In both cases, the shareholder simply receives more certificates. His or her proportional ownership of the corporation stays the same. Theoretically, nothing of value occurs. In fact, the cost of administration is a cash outflow from the standpoint of shareholders. However, there may be a favorable signaling effect, and indeed empirical evidence suggests such an effect. However, the underlying cause for the share-price improvement is better earnings, not the stock dividend or stock split. 10. In theory, stock dividends are not a thing of value. While the stock may respond favorably to their announcement, it must be remembered that there is an information effect. Usually the information is a confirmation of an upward trend in earnings. Otherwise the firm supposedly would not pay a stock dividend that causes dilution. In "practice," the stock dividend itself may have some "psychological" value to shareholders and some value in making the sale of a small number of shares easier. However, the effect of these factors will be slight if at all. We are inclined to feel that they have no effect. Empirical tests are not sensitive enough to pick up a slight effect. 11. The reverse stock split will raise share price, but like a straight split the shareholder maintains his/her proportional ownership. Reverse splits may have a negative information effect, as most companies who undertake them are in financial difficulty. This need not be the case, but investors may well assume the worst. 12. With full disclosure to the investor of the company's intentions, it would seem that open-market purchases would be preferred to self-tender offers, because of the higher transactions cost to the firm of the latter. However, it may be argued that the self-tender offer is more effective. 13. The Internal Revenue Service will not allow the substitution of stock repurchase for regular cash dividends because of the possible loss of tax revenue. Therefore, a company must view the repurchase of stock as a one-shot affair to distribute excess liquidity. This vehicle cannot be used on a steady basis, or it will be subject to taxation. 14. Companies are reluctant to cut their dividends because of the belief that investors value dividend stability. As a result, boards of directors want to make sure the reduction in earnings is more than a temporary aberration before they take action. 15. Dividends represent a reduction in cash which in turn represents a reduced ability of a company to make payments on its loan. Lenders wish to safeguard this ability through a protective covenant dealing with dividends. This covenant usually restricts dividends to a percent of cumulative earnings. 16. With a dividend reinvestment plan (DRIP), the company invests the dividend in more shares of stock in the shareholder's behalf. The share purchase is subject to full taxation to the shareholder, the same as if the cash dividend had been paid. The advantage to the shareholder is the convenience of investing and lower transactions cost than what would occur if the investor bought a few shares of stock in the open market. 17. Dividend policy is a type of financing decision. Dividends foregone mean, of course, that earnings are retained, and retained earnings represent an important source of business financing. ■ treat as a "small-percentage stock dividend"
■ treat as a "large-percentage stock dividend"
c) Dividends = $0. Company should raise an additional $1 million through a new issue of common stock if a capital budgeting analysis (in which flotation costs are treated as outlays) proves favorable. 3. The answers assume all things are held constant other than the item in question. a) Low dividend-payout ratio. Highly taxed owners will probably want to realize their returns through capital gains. b) Low dividend-payout ratio. There will be no residual funds. c) Medium or high dividend-payout ratio. There are likely to be funds left over after funding capital expenditures. Moreover, the liquidity and access to borrowing give the company considerable financial flexibility. d) Medium or high dividend-payout ratio. Unless the company cuts its dividend, which probably is unlikely in the short run, its dividend-payout ratio will rise with the drop in earnings. e) Low dividend-payout ratio. The company will probably wish to retain earnings to build its financial strength in order to offset the high business risk. Jumbo has a lower relative standard deviation of cash flows, lower relative capital expenditures, lower relative long-term debt, and greater relative unused bank lines. Its expected capital expenditures are less than its expected cash flow, which would imply residual funds, whereas the opposite occurs for Giant. Finally, Giant has a higher cost associated with floating common stock in order to replace dividends than does Jumbo. For all of these reasons, we would expect Jumbo to have a higher dividend payout. The only factor working in the other direction is the fact that Giant has a higher relative as well as absolute level of liquidity. 5. a) The market seems to evaluate both of these stocks in terms of dividend payments. The average dividend for both firms is approximately the same. Nevertheless, the average market price of Harpo (about $4.38) has been about 13% higher than the average market price for Oprah (about $3.88). The market has capitalized the dividends of Oprah at a higher rate than Harpo, hence giving the stock of Oprah a lower price. This might result from the constant dividend-payout ratio policy of Oprah, which has produced a volatile dividend stream, b) Neither of these companies seems to be a growth company. In fact, one would wonder whether the retention of earnings is justified for either company. Since both of these firms appear to be evaluated in terms of dividend yield, increased stock prices might ensue from higher dividend payouts. 6. a) $50. The value of the stock adjusts downward on the record date. This sale occurs before that date. The stock dividend in itself does not affect the value of the company. The stock dividend would likely be regarded as a positive signal and the total value of your holdings would increase. If taxes are ignored, it should make little difference other than perhaps if there is a difference in the information content of cash dividends and the information content of the repurchase of stock. Taxes create an incentive for repurchase, for the reasons illustrated in the chapter. However, the Internal Revenue Service will challenge a steady program of repurchase in lieu of dividends. Alternative A, the residual dividend policy. Other dividend streams are possible under Policy 3. This solution is but one. b. Policy 1 and, to a much lesser degree, Policy 2 result in fluctuating dividends over time, as the company is cyclical. Because of the $.80 minimum regular dividend, Policy 2 results in an average payout ratio in excess of 40 percent. Shareholders may come to count on the extra dividend and be disappointed when it is not paid, such as in year 7. To the extent that investors value stable dividends and periodic rising dividends over time, and 40 percent is an optimal average payout ratio, dividend Policy 3 would be preferred and would likely maximize share price. 3. a. Present number of shares = $2,000,000/$8 par value = 250,000.
total value of the firm, market price per share after the stock dividend should be $15,000,000/275,000 shares = $54.55 per share. If there is a signaling effect, the total value of the firm might rise and share p $54.55 per share. The magnitude be no more than several dollars findings.